As more spending constraints are introduced, Computer Weekly examines the landscape for public sector IT in 2012. 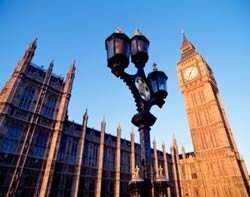 The public sector has had a tough year, with budget squeezes resulting in a record number of IT redundancies, according to public sector IT body Socitm. As more spending constraints are set to follow this year, Computer Weekly examines the landscape for public sector IT in 2012. According to the Socitm IT Trends Report, the main focus for ICT strategy over the next three years will be to reduce the cost of services. The report found that the top areas of efficiency programmes are shared services and self-service. Web-delivered services and information governance are also playing an important role, it said. Geoff Connell, divisional director of ICT at Newham Council, which has joined services with neighbouring borough of Havering, agreed shared services will continue to be an important vehicle for cutting costs. “Some organisations may look at outsourcing as an option. Personally, I feel there are greater savings and more flexibility in sharing services ourselves. And doing joint procurement in certain areas also aggregates costs,” he said. “The good news from my perspective is that with having two ICT teams we have been able to minimise the overall impact of job cuts. The headcount would have been reduced regardless,” added Connell. Socitm reported 5,000 IT jobs were lost in the public sector last year – an 18% fall on last year and the sharpest drop in the public sector for 25 years. “Local government has been pretty badly hit by the comprehensive spending review, the reduction over that period has been about 30% so you would expect IT to also reduce headcount. The challenge is to make sure local government doesn’t lose sight of the value of IT as well as being aware of its cost," said Socitm’s Evans. “If you define IT as back office, the figure is in line with what is happening in other back office services – as the mantra has been to protect the front. I’m not sure how rational this divide is between front and back, as it can work against doing radical transformation,” he added. However, Connell added that information security, governance, and SharePoint skills remained in high demand within the council. Despite massive staff cuts, Socitm said spending on contracted services, including service sharing, as a percentage of the total IT budget increased again over the past year. Rob Rutherford, CEO of consultancy QuoStar Solutions, said this trend is likely to continue. “Anecdotally, I’m hearing that the public sector is replacing IT positions which have been made redundant with contracted staff for certain projects,” he said. Another key area of growth in the past year has been the public services network (PSN), as councils seek to cut costs by sharing networks. “Of the newer technologies, regional private networks appear to be being adopted faster than the others we first identified in 2009,” said Socitm. Many local authorities have already rolled out their own private networks, with more expected to follow this year. In addition, central government departments are expected to roll out a PSN this year. Jeff Wallbank, development manager at Kent County Council, is trialling a PSN which will connect to central government departments, such as the National Health Service, the Criminal Justice Extranet and the Police National Network. The council has 14 different connections; by connecting through the PSN it will just have two. "That has got to be beneficial to the public purse," said Wallbank. The network is not yet up and running, but Kent expects to begin rolling it out this year. The Cabinet Office’s G-Cloud has been getting a lot of attention, with a framework agreement expected to be published before February 2012. However, within the public sector it is still regarded as less mature at present. Apart from a few early adopters, such as Hillingdon Council and Warwickshire County Council, it is unlikely that there will be a massive migration to the cloud among public sector organisations this year. David Wilde, CIO at Essex County Council, said there is still confusion in the public sector as to how the G-Cloud will fit into the work with the PSN. Other commentators have drawn comparisons between the PSN and G-Cloud, noting that the PSN has only just started to take off in the public sector, despite having been an established idea for some time. The fact the G-Cloud is still in its nascent stage means widespread adoption could still be several years away. One of the biggest surprises in Socitm’s report was the shift in attitude in local government towards staff brining their own devices to work. Some 90% of respondents said they are happy to allow the workforce to use their home PC to carry out work functions, with 60% allowing the use of the employee’s personal laptop and 30% the use of smartphones, said the report. “Bring your own device [BYOD] will become more popular due to the cost savings involved,” said Socitm’s Evans. But he warned that security should remain a top priority in deploying such schemes. “The difficulties will be when staff want to bring their own laptops in and plug into networks. It’s important we don’t compromise information assurance. Information assurance is a higher priority than bring your own,” he added. There will be no single solution to public sector IT strategy in 2012, but to drive down costs across authorities, CIOs must ensure that their IT does far more than simply keep the lights on. In an environment which is seeing unprecedented levels of cuts, making an effective business case for IT investments will be harder than ever, but arguably more important than ever.